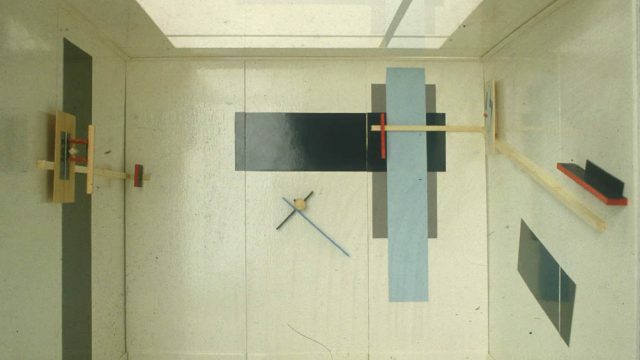 Between 1919 and 1927 El Lissitzky produced plenty of paintings, prints, and drawings that he referred to by the word Proun (pronounced pro-oon)- an acronym for “project for the affirmation of the new” in Russian. 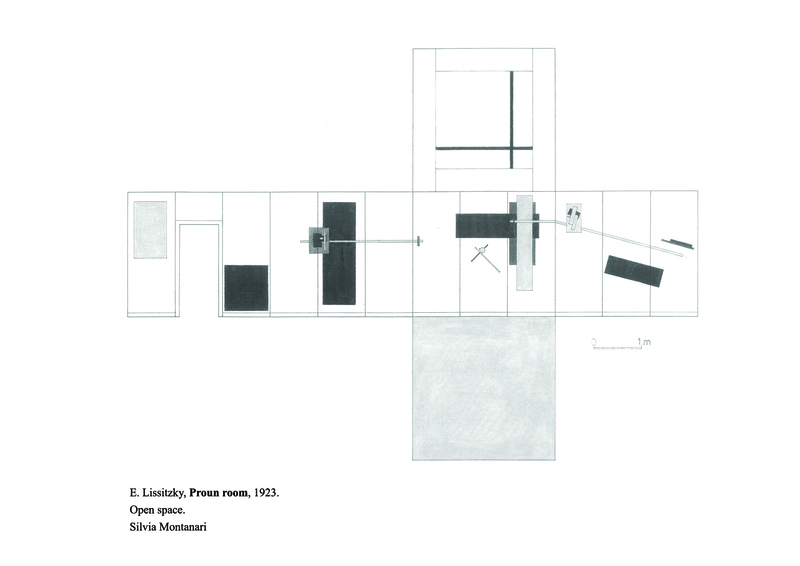 Lissitzky’s radical reconception of space and material was a metaphor and visualization of the fundamental transformations in society that he thought would result from the Russian Revolution. 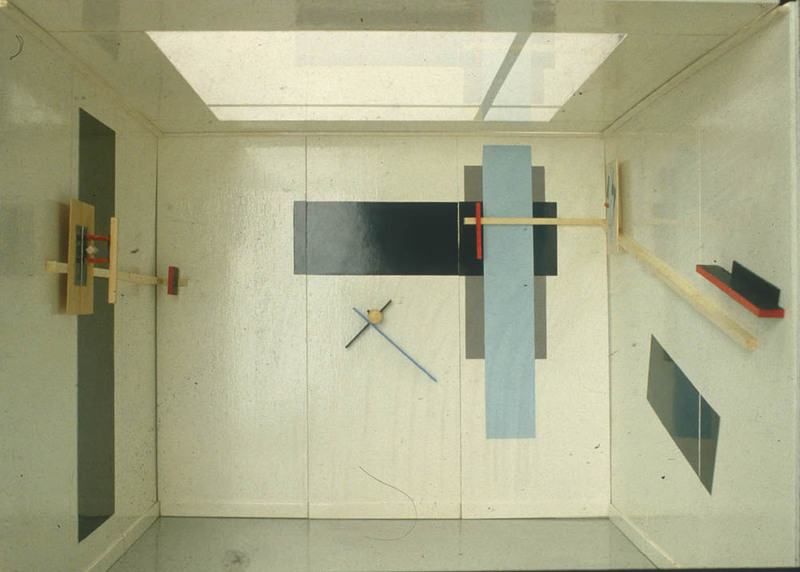 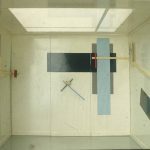 In 1923 for the Great Art Exhibition in Berlin, El Lissitzky transformed his two-dimensional works into “abstract room”. 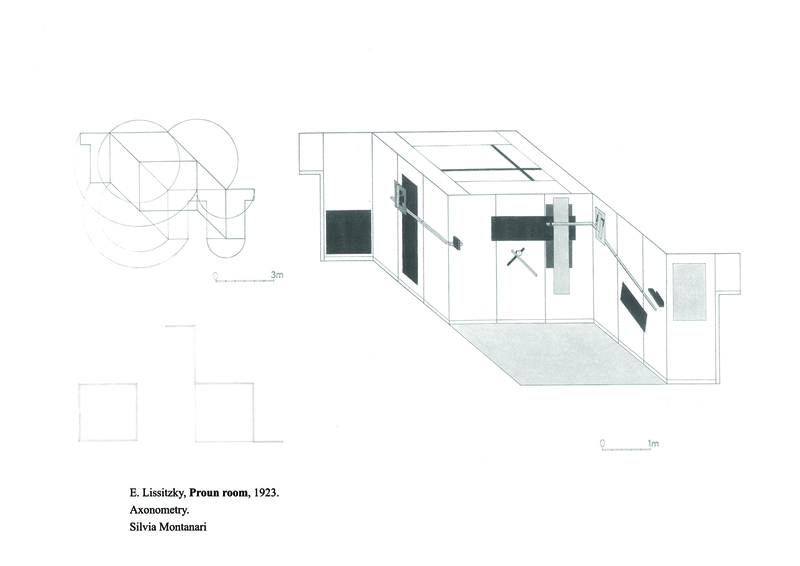 The installation consisted of geometric shapes, linear vectors wrapping around corners and spatial elements. 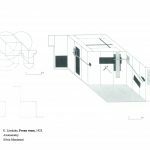 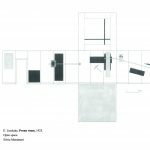 6 surfaces of the room (floor, 4 walls and ceiling) were presenting Proun concept with elementary materials, lines, surfaces, cubes, sphere and colors, such as black, white, gray. 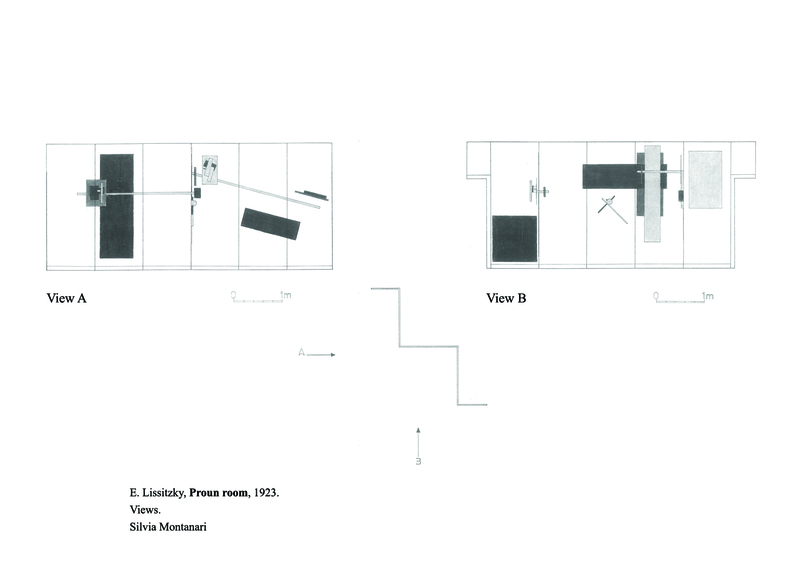 With use of wooden constructions, Lissitzky played with the perspective and the space. 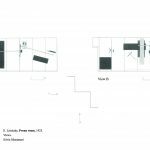 The wall of the room shouldn’t be considered as a picture-painted, but as a new balance of the space that becomes mobile and elementary.